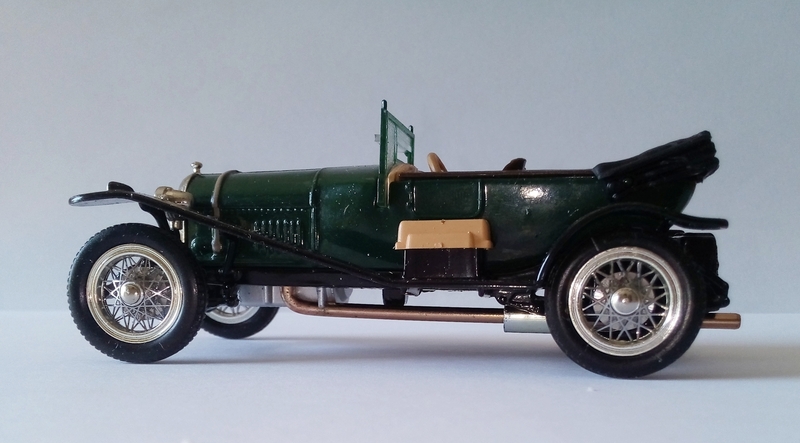 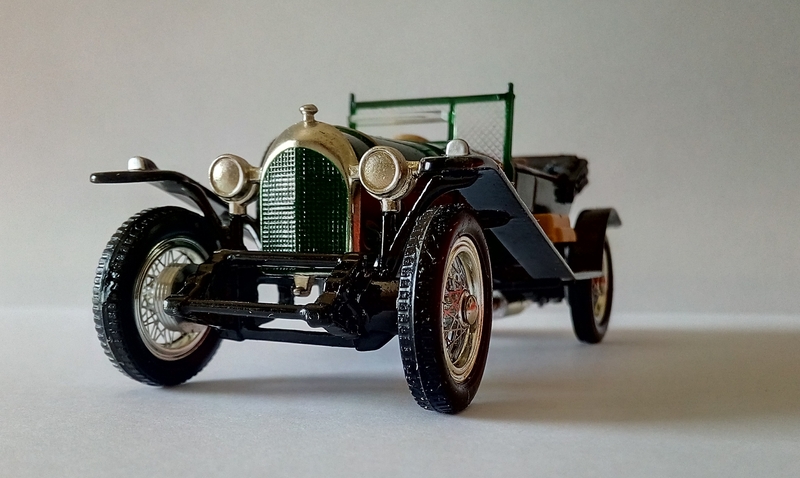 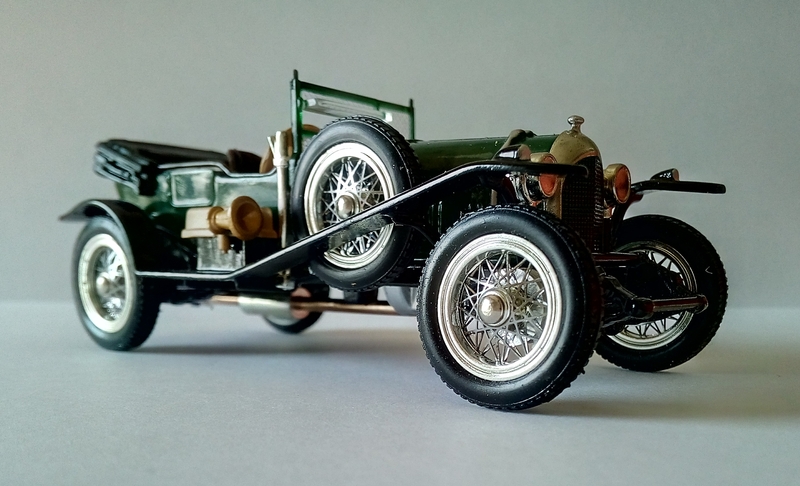 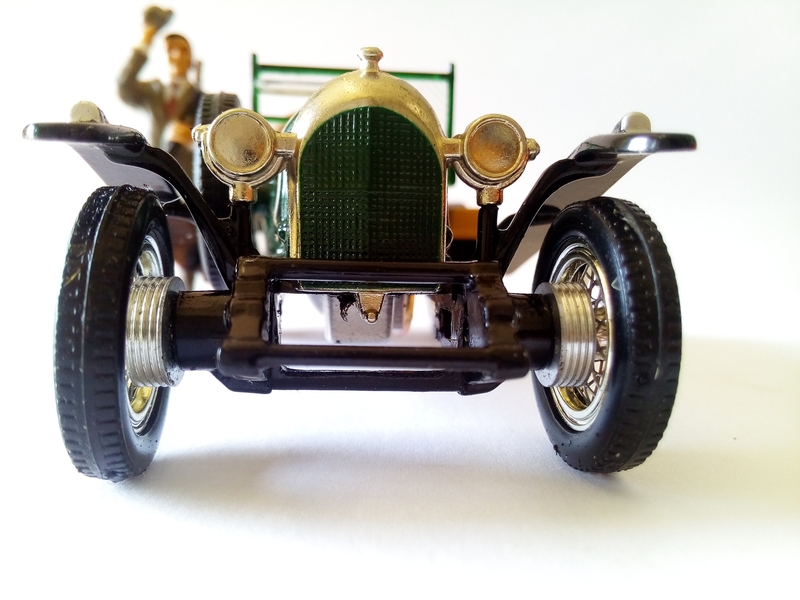 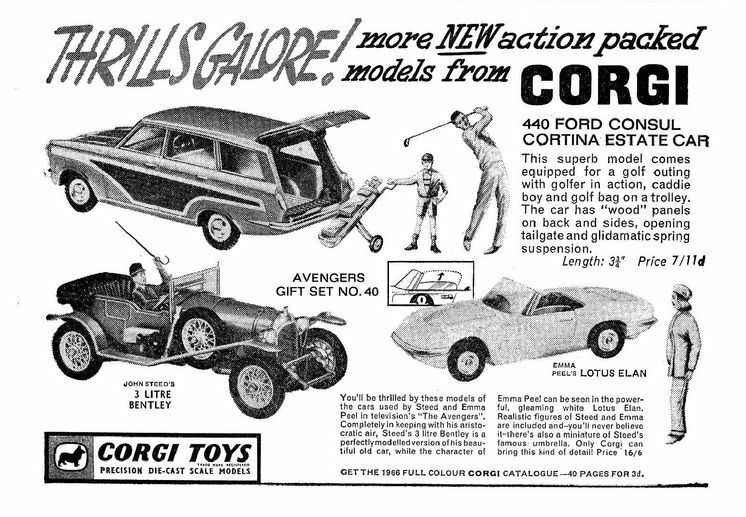 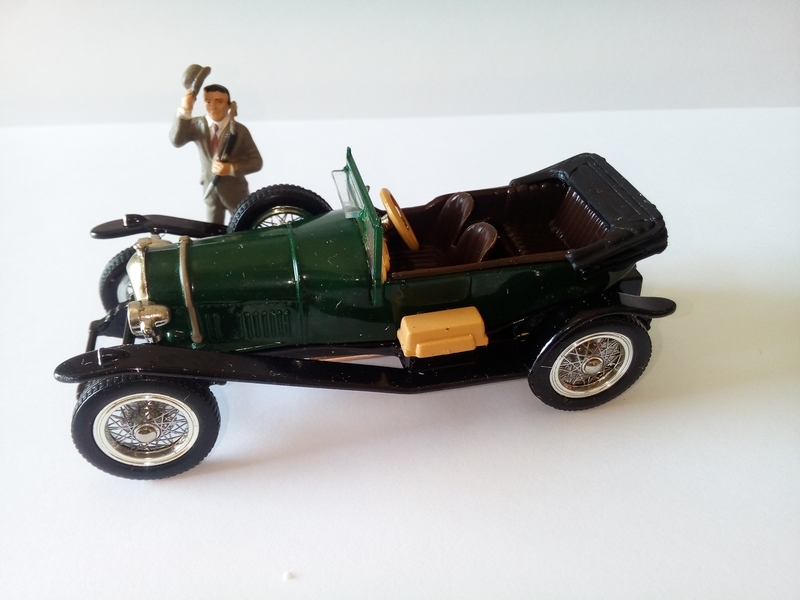 While John Steed always drove a green Bentley in the series, the original Corgi set however contained a red vintage Bentley, although the gift box portrayed the racing green vintage Bentley model. 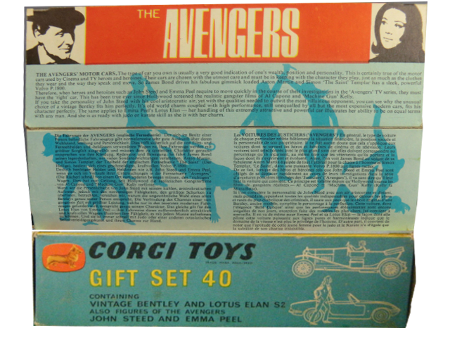 Around 112,000 boxes were sold in the year 1966. 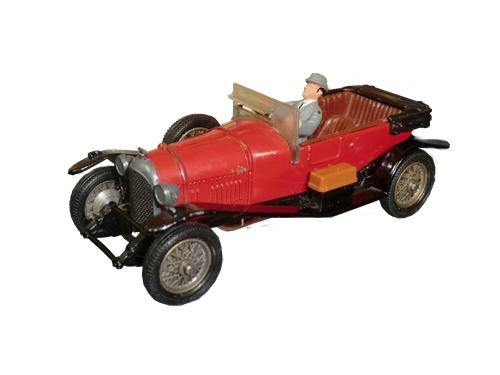 It also contained a white (instead of powder blue) Lotus Elan 2, two figures, one of them John Steed seated at the steer of the Bentley. 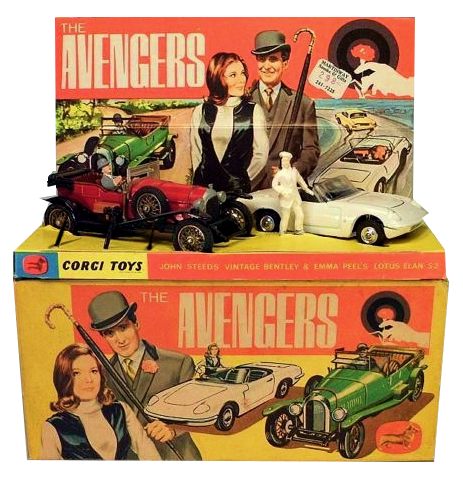 He's wearing a grey suit with a grey bowler hat, and Mrs. Peel wears a white dress; the box also contained three little plastic brollies. 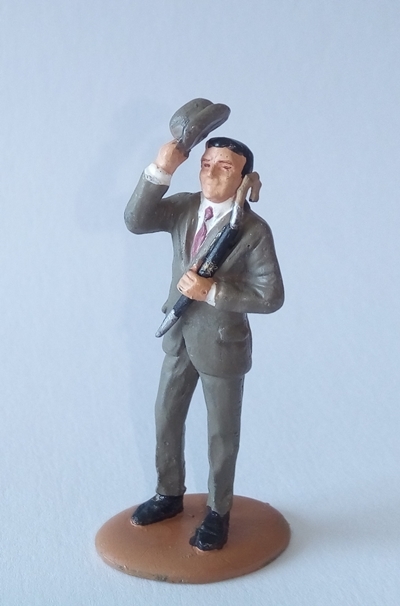 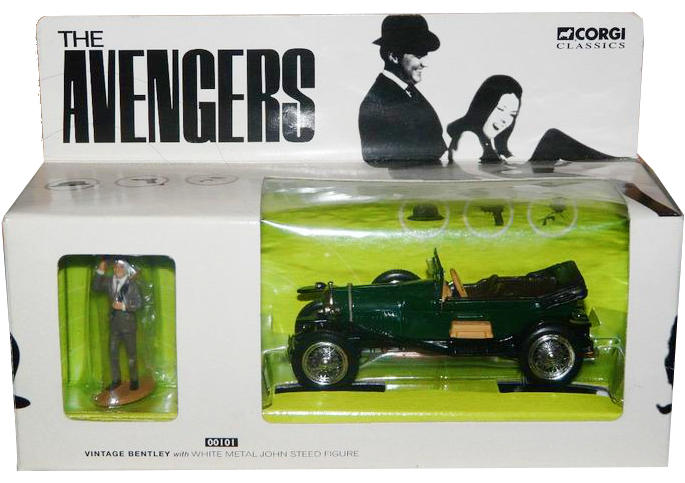 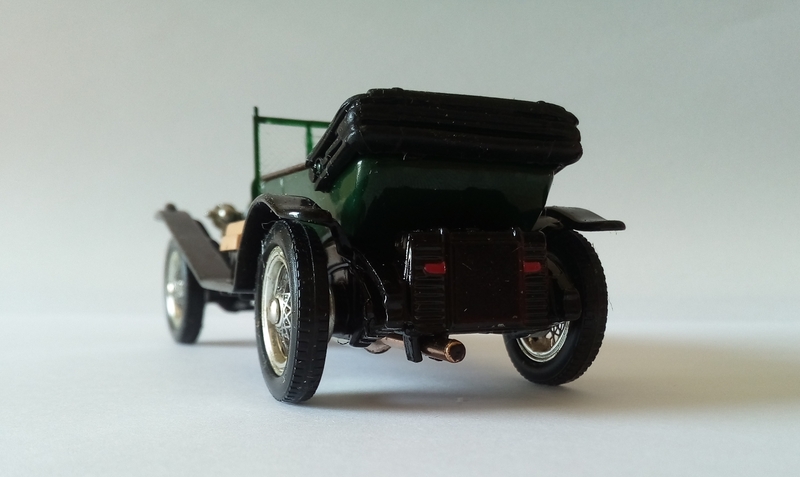 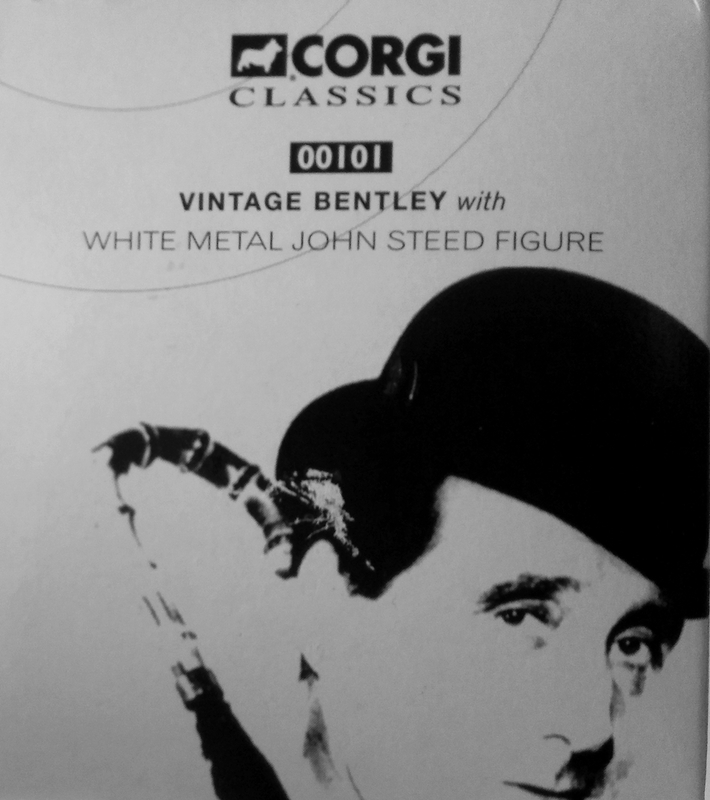 The set contains a green vintage Bentley and a white metal John Steed figure wearing a grey suit with a grey bowler hat, and a black umbrella. 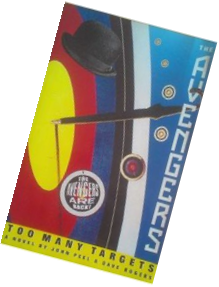 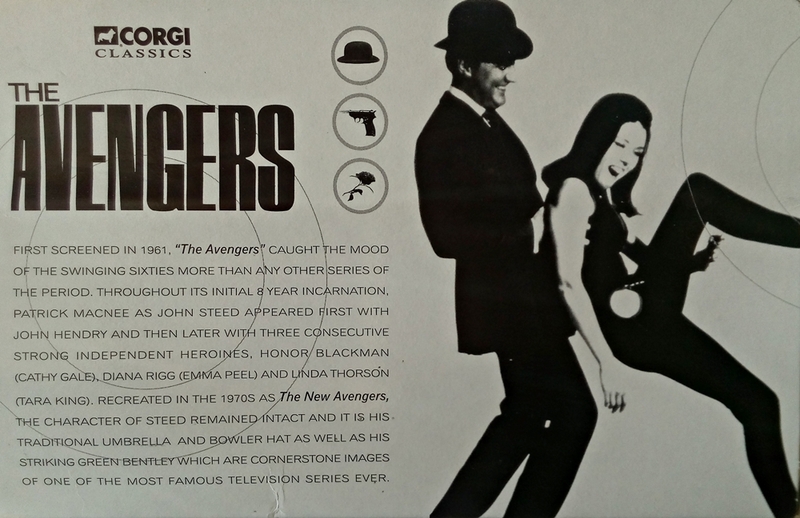 According to The Avengers Fanzine "Stay Tuned" (Volume 3, Issue1, Page,8) around 190,000 sets were sold.